Recruiting the help of her sister, Rosemary, seems like the answer to Lilyâs problems...until things between Rosemary and The Voidâs spoken-for sound specialist, Sage Strickland, start to heat up. Now thereâs one more teetering band relationship for Lily to balance in the media along with her own. One misstep could not only destroy The Voidâs recent success but end the only career she has. Once Lily, Archer, and the band transition from touring back to everyday life in L.A., theyâll have to learn how to navigate the twists and turns of their newfound fame. After all, the summer tour may be coming to an end, but the drama is just beginning. 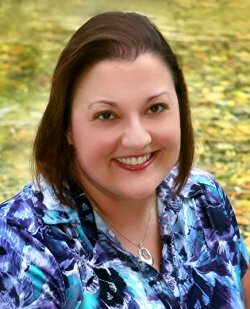 Raine Thomas is the award-winning author of bestselling Young Adult and New Adult fiction. Known for character-driven stories that inspire the imagination, Raine has signed with multiple award-winning producer Chase Chenowith of Back Fence Productions to bring her popular Daughters of Saraqael trilogy to the big screen. She's a proud indie author who is living the dream. When she isn't writing or glued to e-mail or social networking sites, Raine can usually be found vacationing with her husband and daughter on one of Florida's beautiful beaches or crossing the border to visit with her Canadian friends and relatives.